Total Carat Weight: 2.11 ct. 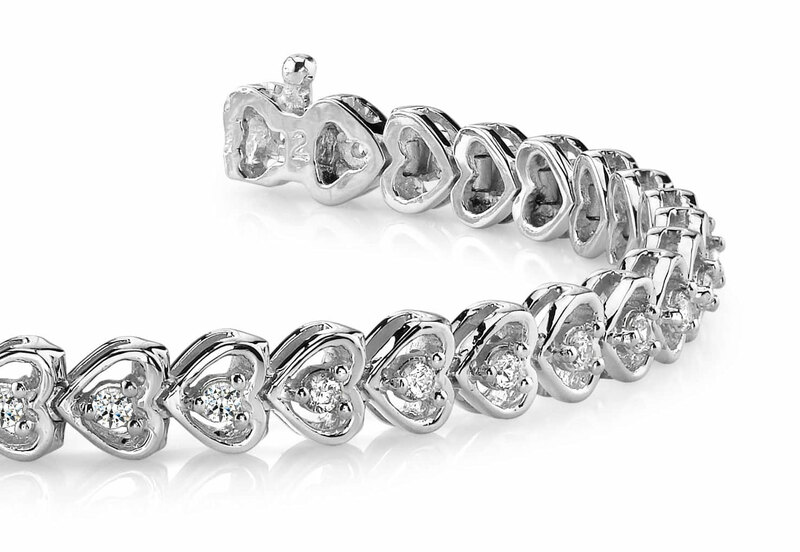 Reveal your sincere heart’s desire with this elegant tennis bracelet. 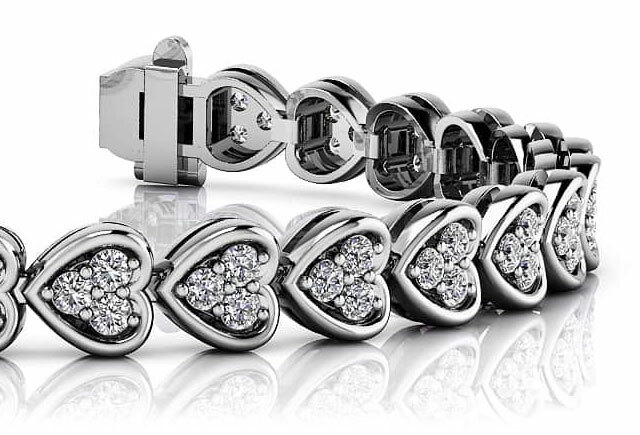 Three sparkling diamonds, prong set, fill each of these three hearts with brilliance. 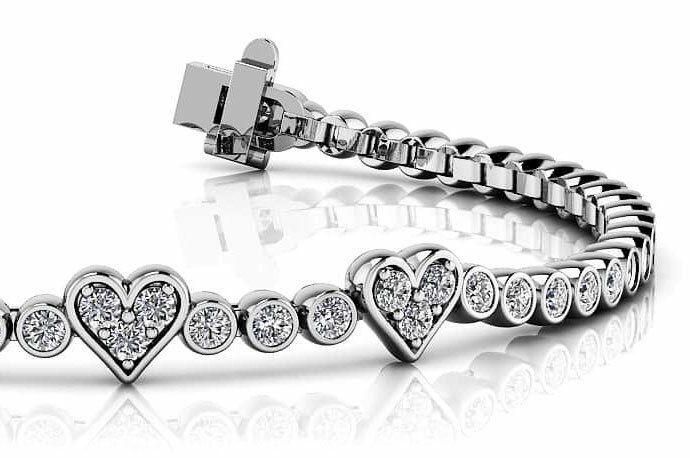 The hearts are separated by round diamonds to create a delicate look. 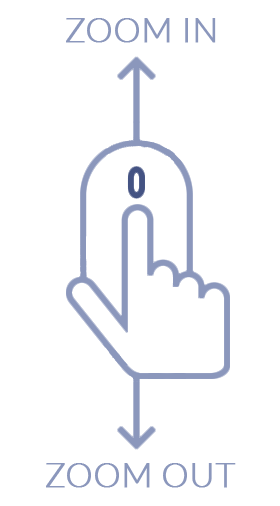 It is a graceful bracelet, that is perfect to wear daily or for that special occasion. Model Carat Weight: 2.11 ct. Effective Carat Weight: 2.11 ct.
Stone Carat Weight: 64X0.033 ct.